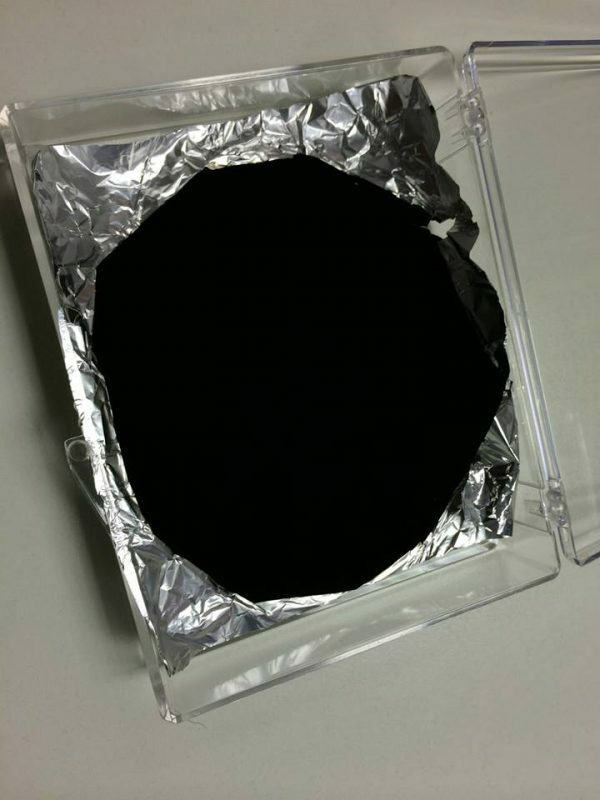 According to Artnet, the Vantablack-coated object showcased in these photos is a three-dimensional bowl, but thanks to the unique light-absorbing properties of this pigment, it just looks like a flat black circle, or, if you ask me, a creepy bottomless black hole. When other conventional black surfaces are placed next to something coated with Vantablack, they allegedly look grey. 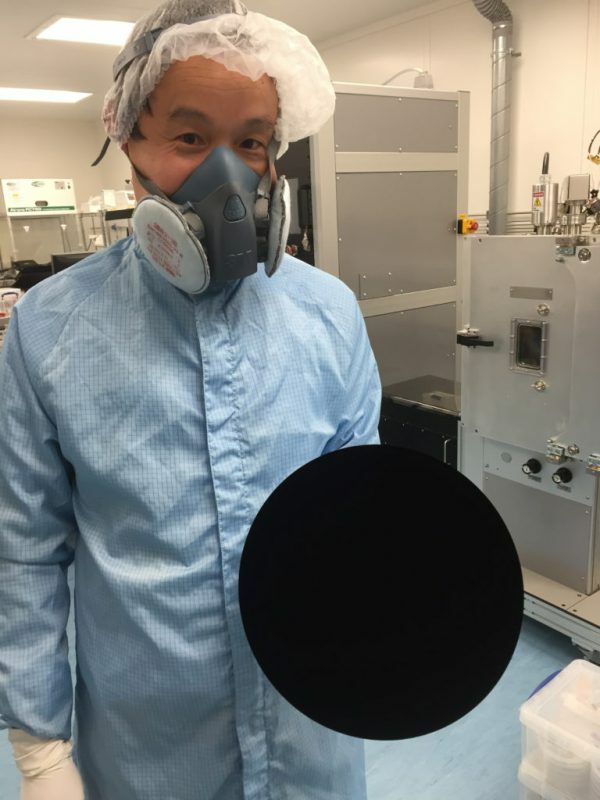 And even though the original Vantablack was black enough, Surrey NanoSystems has been hard at work trying to make it even darker. Last year, they unveiled an enhanced version of their pigment that is so black that it can’t even be measured with UV-VIS or MID-IR spectrometers. In a video, they run a high power laser pointer across a surface coated with Vantablack 2.0 and it just vanishes, as if no light is touching it. 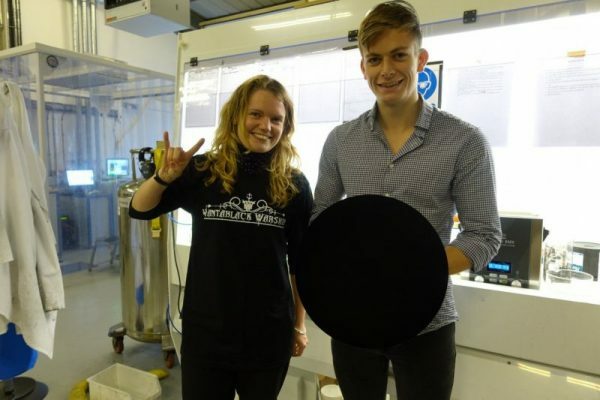 Surrey NanoSystems claims that their incredibly dark pigment is involved in a range of applications right now, “some of which are absolutely huge”, but Vantablack has been causing a lot of stir in the art world as well. Some artists would give anything to use Vantablack in their art, but right now one artist has exclusive rights over its artistic use. 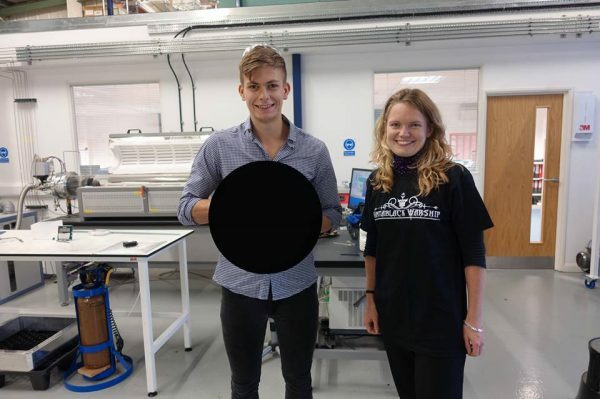 English artist Anish Kapoor recognized the potential of Vantablack early on, and asked Surrey NanoSystems to work exclusively with him in an effort to discover artistic applications for the pigment. So right now, Kapoor is the only artist who has access to Vantablack, a fact that led to a very interesting feud with other fellow artists, including Stuart Semple, who recently created the world’s pinkest pink, and made it available to anyone except Anish Kapoor. 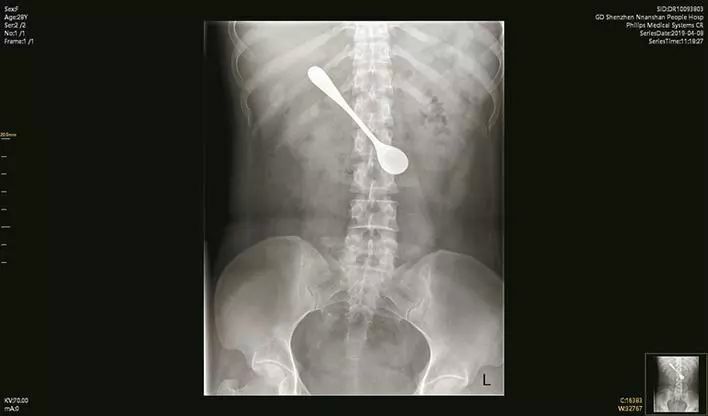 He got his hands on it eventually, though.